With a population nearing 230,000 people, Irving is one of the prominent inner-ring suburbs of Dallas. Irving was founded in 1903 by J.O. “Otto” Schulze and Otis Brown. Otis’ wife, Netta, was very fond of the author Washington Irving, and Schulze happened to be a member of the Washington Irving Literary Society, so it seemed to be the perfect name for their new settlement. In the early days of Irving, the town was a center for cotton, trucking, dairy farming and poultry production. In 1974 when the Dallas-Fort Worth airport opened, the city’s population exploded. It became a hub for manufacturing, transportation, retail, and finance. The University of Dallas opened in Irving as did Texas Stadium, where the Dallas Cowboys played for many years. Irving is a very diverse city. In 2007, 38% of the population was foreign born with Mexican, Salvadoran, and Asian Indian as some of its most populous groups. Because of its location and vibrant economy, Irving continues to attract people of all nationalities and backgrounds. Irving attracts a lot of people, but it also attracts a lot of bugs and other pests. The mild winters and hot, humid summers are the perfect scenario for many types of pests to live and reproduce quickly. Since the winters in Texas seldom get too cold, ants, spiders, termites, and roaches are often active year-round. Residents of Irving must also deal with the explosion of bedbugs that have been reported during the last few years. Bedbugs are the hitchhikers of the animal world, so they are most common in areas that experience lots of tourism. Irving’s location next to one of the biggest and busiest airports in the country means that bedbugs are a common problem. If that wasn’t enough, the recent outbreaks of Zika and West Nile carried by mosquitoes means that Irving and other cities are working hard to monitor and control the mosquito population. When it comes to pests, Irving has its fair share of problems, but luckily, we have the perfect solution. 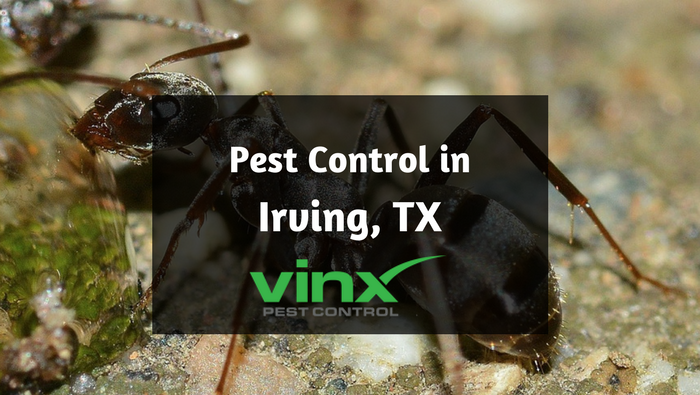 If you live in Irving or the surrounding areas, Vinx Pest Control is the answer to all of your pest control needs. Not only do we pride ourselves on using the best products and hiring expert technicians, we also have the best guarantee in the entire industry. 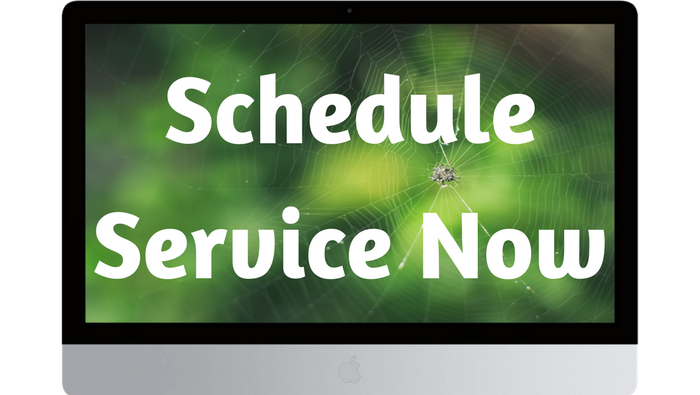 If you start seeing pests between your regularly scheduled treatments, we will come back and treat your property again at no cost to you. If we have to return more than twice, we will refund your money. We are confident that you will never need another pest control company again. We know that every home and area has different pest problems, so we customize our treatments to meet your specific needs. If you are in need of Irving pest control, give Vinx Pest Control a call today! We love to hear from our customers. Give us a call, send us an email. Need a reservice? We’re happy to come out and take care of the problem. Interested in a job? We are always looking for talented energetic people who want to make a difference in the world.